There are a many reasons to consider outsourcing all or part of your company’s top-line growth needs. Many companies choose Sales Outsourcing Pros to provide them with in-depth market research, speed to market, human resource risk management, market or product segmentation, and specialized teams of sales professionals and subject matter experts that can rapidly boost revenue and market share growth. No matter what your current needs may be, Sales Outsourcing Pros can be your strategic ally to help you reach your sales goals efficiently and in a manner that is consistent with your company values. We provide subject matter experts that help you focus on developing and bringing your innovative and superior product or service to market. Our product development offerings are not restricted to any niche market and we help with all aspects of competitive and market research, design, development and launch. Communicating your Brand and Message with custom web design, logo creation, and brand development will speak to your community of buyers about your business and the impact your services and products can have on them. Doing so will also be important in making sure that your current customers appreciate the continuing value you bring to them, as well as about new services, current promotions, and special events. We combine global service teams with native and US-based management teams. This end-to-end approach to management, combined with the Sales Outsourcing Pros industry leading lead generation methodology and technology ensures that you benefit from complete transparency, best-in-class service, and incomparable cost efficiencies. After identifying target markets, our specialists identify and qualify ideal prospect companies, and their influencers and buyers prior to setting appointments for you, or closing them themselves. They accomplish this not through hammering away with an auto-dialer and canned spiels, but through collaborative sales conversations around business-impact that lead to sales wins time and time again. Our Coaches and Subject Matter Experts can help you enhance your team’s skills for improved top-line performance, as well help you capture and grow revenue and market share very quickly. Most companies have already reduced costs dramatically and their focus has shifted more than ever to using seasoned industry experts to help coach and mentor the next generation of front-line producers. We work with Investors, Boards of Directors, CEOs, executive teams and sales and marketing leaders to optimize and strengthen your key revenue asset – people. While coaching and mentoring the individuals and teams for greater performance, new customer acquisition and market-share gains increase. Sales Outsourcing Pros delivers Strategy, Strategic Planning and Business Development Professionals that drive strategic activities. Among others, these include product and service development, marketing, key customer relationships and go-to-market partnerships. Whether you wish to outsource all or part of your talent needs, we can recruit, train, and manage entire teams of skilled top-line sales & marketing professionals for you. Or if you prefer, a small team of specialists designed to deliver world class results efficiently in a specific area very quickly and cost efficiently. 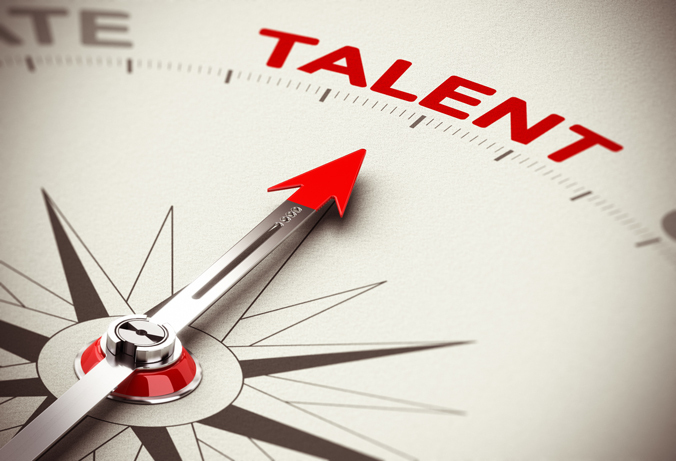 Effective recruitment of talented personnel is necessary for success in any business environment. With a knowledgeable, aggressive, and skilled sales & marketing team working on your behalf, you can substantially boost sales and your return on sales and marketing spend. Through outsourced sales recruiting, training, and management services, you benefit from having a team of specialized sales & marketing professionals working hard to produce incomparable results for your business very quickly, cost efficiently and with little or no risk. Marketing is more dynamic in today’s business environment than ever before. From blogs and social media to email campaigns and Webinar events, there are many ways to market your products or services which otherwise would require a small army of marketing professionals. By outsourcing your marketing efforts to our marketing professionals, your campaigns will produce greater profitability and a higher ROI on Sales and Marketing expenditures than from outsourcing sales professionals alone. Sales Outsourcing Pro’s services can also be used to develop and implement proven SEO and other Website optimization strategies. Taken together, these will propel your company to the top of the search results for a variety of competitive keywords. Through keyword analysis, content creation and optimization, technical optimization, analytics, and comprehensive reporting, Sales Outsourcing Pros’s SEO specialists can help your company dominate the search results and bring you motivated and qualified prospects with here and now commercial intent. Most people assume outsourced services only pertain to sales agents, but Sales Outsourcing Pros can provide much more, such as dashboards and scorecards to track, measure, and optimize important sales metrics in line with your company’s specific requirements. With online reputation sites popping up everywhere, your company’s reputation is fragile and must be vigilantly protected. Our outsourced CRM specialists can protect your reputation by diligently handling all inquiries, order processing, disputes, returns, subscription renewals, billing, account maintenance, and much more. Talented virtual support professionals can minimize time-consuming and tedious marketing and sales support tasks while simultaneously freeing you from the hassles and costs of managing internal employees. Through timely, cost-effective, and quality virtual support, you can focus your attention on expanding your business and on revenue-driving activities.